What it is: A highlighting palette with three illuminating shades to add natural luminosity to the skin and a sculpt palette with two contour shades and a bronzer with a natural sheen to add dimension to your complexion. What it does: Highlights and defines your best features with light-reflecting highlighting powders and contour shades that allow you to chisel your features for the look of a slimmer nose, sculpted jawline and defined cheekbones. The finished look is always natural. Plus, the compact palettes make traveling with your secret beauty weapons easier to conceal. This kit contains: 1 highlighting palette including three shades and 1 contour palette including three shades. Sculpt shades include Silhouette (light brown), Go Figure (warm brown), Bronze (bronze shimmer). Glow shades include Slaycation (champagne), Goddess (rose gold), High Five (light bronze). Apply highlighter to the high points of the face including: the bridge of the nose, top of the cheekbones, the cupids bow and the center of the chin. Contour can also be applied to the perimeter of the face, hallows of the cheeks and sides of the nose. The colours are nice, very blendable & worked on different skin tones, I’m happy with the products & the price! I used the PRO Glow on the go Contour and highlight for the first time and am hooked. It is a beautiful formula not flaky or chalky. I reccomend it to everyone! Got these to take on our 30th Wedding Anniversary trip. Perfect size. I have been using these palettes every day. 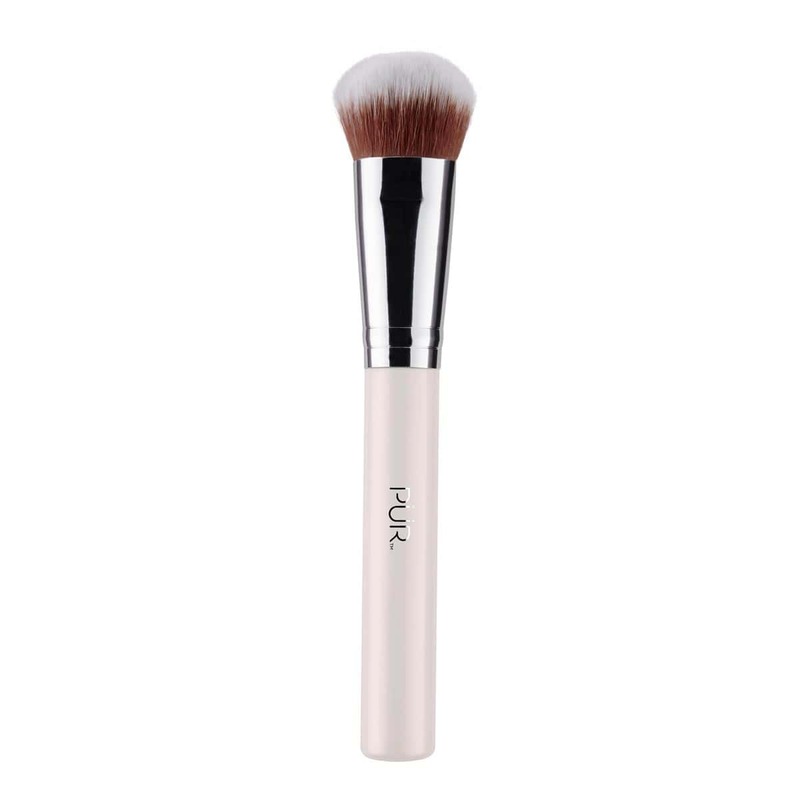 The contour blended so effortlessly and the highlighters are buildable and have the ability to be subtle or blinding. The palettes are perfect for a person always on the go! The colors illuminate my face perfectly. Still learning how to contour.. I got these sets before a trip. Nicely pigmented and easy to use. I really love these little palettes - it makes it easy to carry something for "day to evening" touch ups on the go! And, when I travel, my makeup kit is tiny while still being functional. Or, almost... the pigment in these is a little low, which means you need to use a fair bit of powder for them to show. This is particularly true of the highlighters. PUR, please keep this size of product and increase intensity of pigment! Women everywhere will thank you! Love these products! They give me all the options whether I’m at home or on the go! Love the colors and the quality of the product. Great size for tavel! i could not love these two palettes more if i tried. 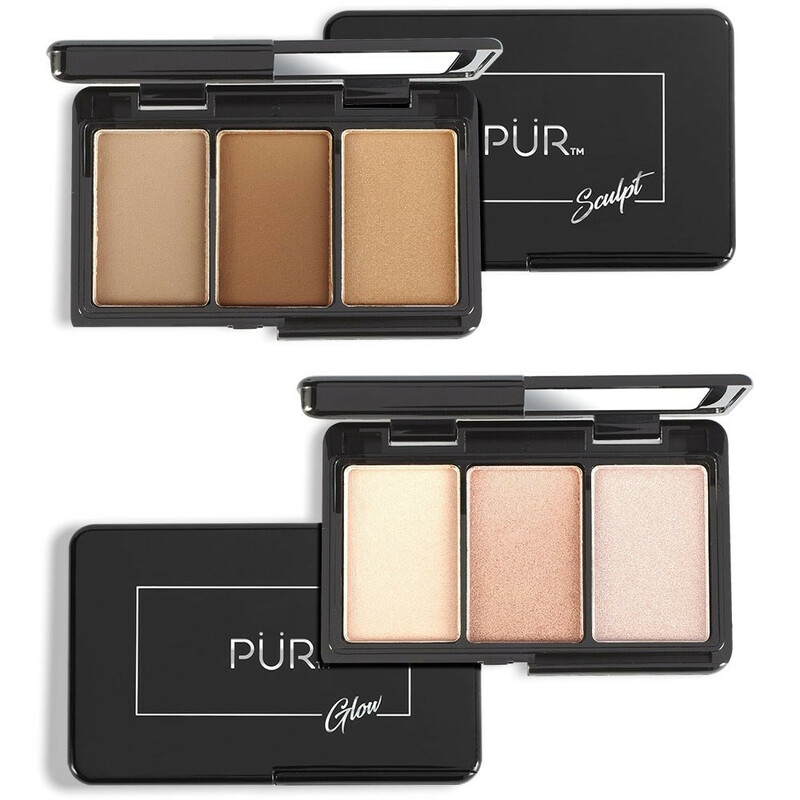 I love these little palettes and they are the perfect size for a handbag or travel. I have to say, I really do love these. I have very pale skin and most highlight or Bronzer sets are way to dark for my skin tone. These are very forgiving tones and textures. I cant stop using them! The price is right and I will be getting a backup just in case. It's okay. I like the blush/ contour palette much better. It's good but I like the other palette that you offer more.